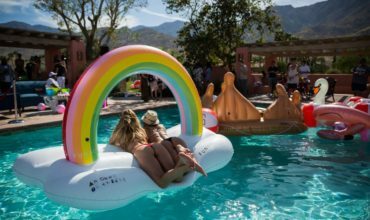 ULTRA Europe is coming back, and how, with Poljud Stadium on Croatia’s Dalmatian Coast this July set to host its fifth anniversary, equipped with an absolute beast of a lineup. 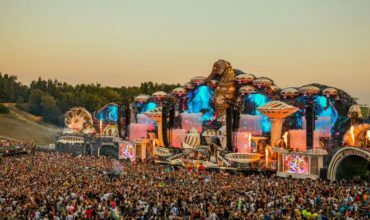 Main Stage headlining artists include (in alphabetical order) Afrojack, Armin van Buuren, Axwell /\ Ingrosso, David Guetta, Hardwell, Martin Garrix, DJ Snake, Steve Aoki and Tiësto. ULTRA Europe will once more host four versatile stages in and around Split’s Poljud Stadium. Alongside the aforementioned Main Stage and RESISTANCE Stage, the UMF Radio Stage and the Arcadia Spectacular ‘Afterburner’ are set to return. 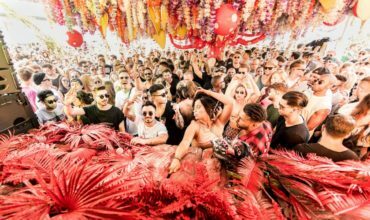 The main event will play a signature role in the wider, weeklong Destination ULTRA experience, with the line-ups soon to be revealed for the RESISTANCE Opening Party, Brač Regatta, ULTRA Beach and RESISTANCE Vis over the coming weeks. 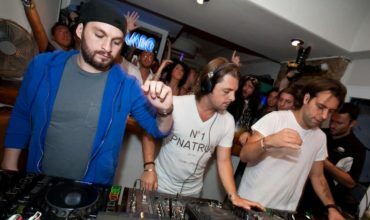 Hey Buddy!, I found this information for you: "ULTRA Europe announce massive lineup for their fifth anniversary event". 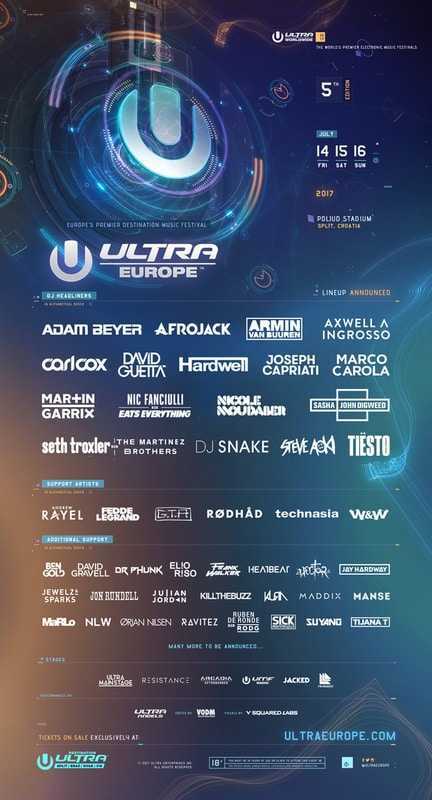 Here is the website link: https://themusicessentials.com/news/ultra-europe-announce-massive-lineup-fifth-anniversary-event/. Thank you.